The yeasts that thrive in polar and subpolar areas have to be adapted to extreme environments with low temperatures and the consequential desiccation due to freezing of water into ice crystals, with relatively high concentrations of ions, generally low levels of nutrients and, sometimes, high UV irradiation and hypoxia. Yeast communities in polar areas include circumpolar, endemic and cosmopolitan species. Although some endemic yeast species show psychrophilic behaviour, the majority of them are psychrotolerant yeasts that can adapt to growth across a wide range of temperatures. 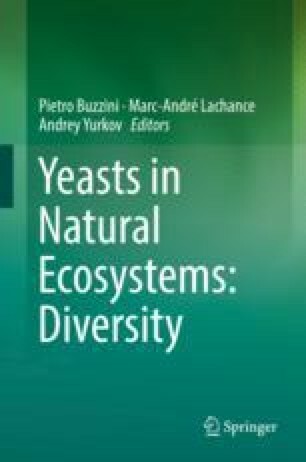 Most investigations on yeasts in polar and subpolar areas have remained limited to their biodiversity and the quantification of rare or new species. Comparative taxonomic studies of polar and subpolar habitats from Antarctic, Arctic and sub-Arctic have shown that the yeast communities belong prevalently to Basidiomycota, in contrast to the general fungal community distribution, which shows Ascomycota as the dominant phylum. The reviews on yeast diversity in cold habitats worldwide that have been published in recent years have reported the unambiguous prevalence of the former basidiomycetous genera Cryptococcus and Rhodotorula. But the recent taxonomic revision of the Pucciniomycotina and Tremellomycetes taxa positioned these polyphyletic genera into many new taxa, thus modifying the known taxonomical picture and ecological significance of the yeast distribution in polar and subpolar ecosystems. To overcome the problems associated with the quantification of unculturable microbial communities, the new high-throughput sequencing of both DNA and RNA is proving to be a valuable tool in deciphering the microbial diversity in cold environments.